When thinking about Bali most people imagine the island of gods to be all about the beautiful beaches, breathtaking sunsets and world class waves surrounded with unique balinese people and culture. 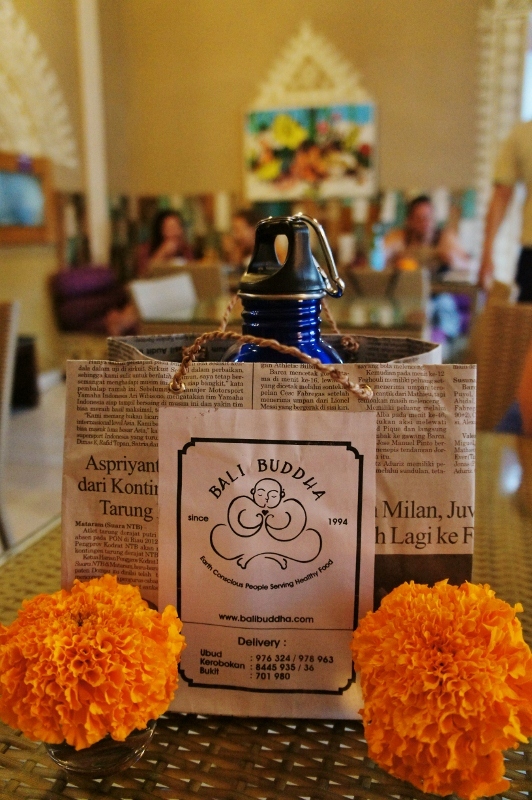 This is definitely a big part of Bali's attraction amongst most students and tourists traveling to Bali. 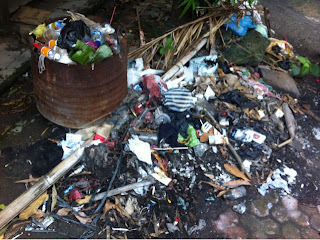 Unfortunately there is also a down side to the buzzing entertainment and life that we are offered here that is disregarded by most visitors, garbage that is. Especially plastic bags, water bottles and cigarette buds that fill the streets and eventually end up in our precious ocean. Surfing the east coast during rain season can be a gross experience since you end up paddling though plastic waste including everything from diapers to rubbish bags. There are many things that just an individual or a small group can do to prevent this problem getting worse. We have collected 5 most used tips that previous students have come up with in order to do their share to keep Bali clean and attractive to further visitors. For every purchase even for a bottle of water they offer you a plastic bag here. Easiest way is to keep your own reusable tote bag in your scooter so it's always there when you need it! Almost every villa here offers a refillable water tank. Fill up your water bottle from that and you don't need to get a plastic bottle every time you get thirsty. 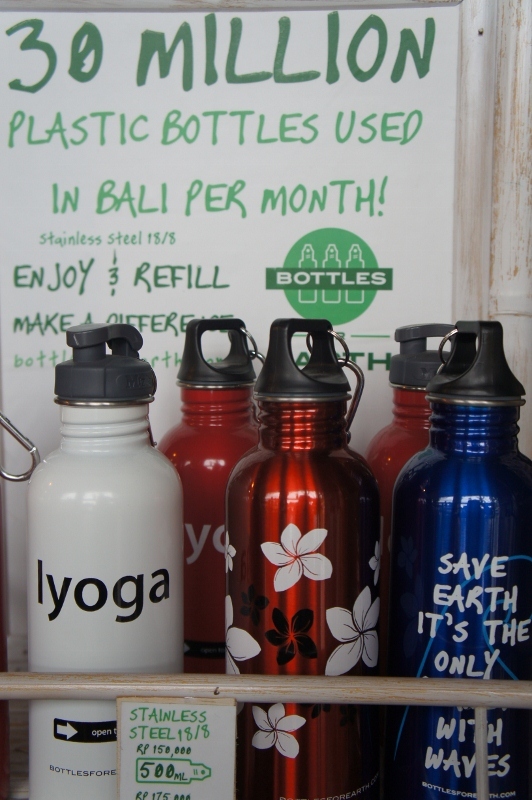 Recycling is almost invisible in Bali. There's hardly any places around where you could separate your garbage. Luckily that doesn't mean it doesn't exist here! You can often see locals collecting used bottles both glass and plastic. Also aluminum cans can be recycled. Locals get paid 9000rp (80cents) per kilo and although that sounds like nothing to most people in western countries, here in Bali some people truly make a living out of it. 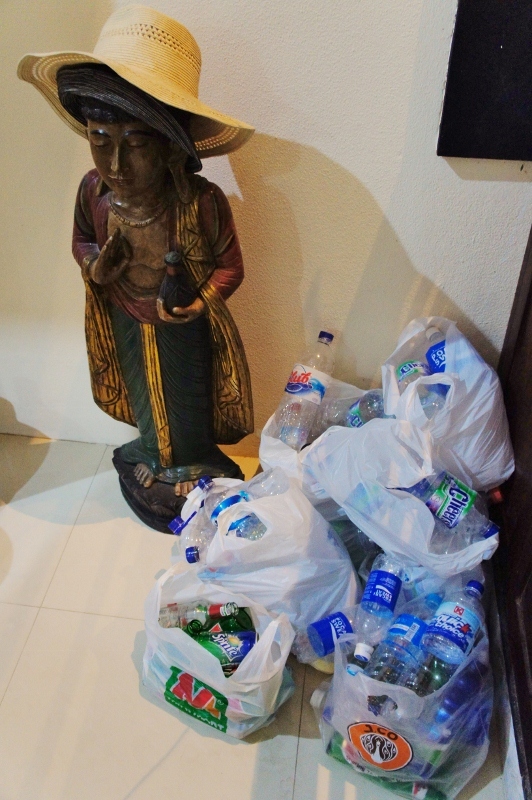 Living in a villa you can easily organize either your cleaning lady or just someone you've seen collecting bottles to come over weekly to pick up your empties. The most common way of transportation here is a scooter. It's often the quickest way to move around different areas but every year traffic gets busier and you can hardly take in a breath of fresh air while stuck in a traffic jam on the main roads. Bicycle is a safe and pollution-free option to get around short and even a bit longer distances not to mention a healthy option. If you need to take your scooter consider taking just one and ride with your friend!